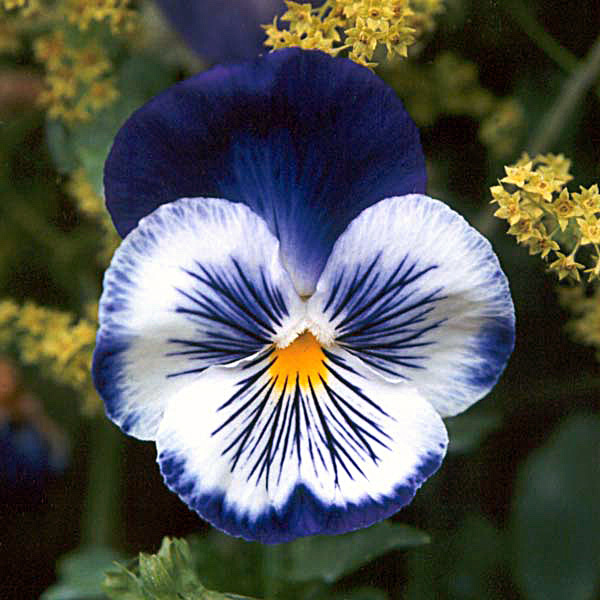 Pansies and violas are my favorite flowers. I also love roses, because who doesn’t? And lots of other flowers, too. I mainly used a Polychromos colored pencil in helioblue-reddish and a couple of neighboring blues besides, and my trusty red 3×5″ Handbook sketch book. More and more, I start to wonder if colored pencil is really my medium. I’m in love with watercolor still, but what a steep learning curve. I’m finding sketching in colored pencil almost always brings satisfaction, whereas I’m very lucky if I’m satisfied with a watercolor painting. It’s silly to detail draw the back petal and forget all about detail with the whiskers in the front. Need more depth in the front petal, getting the angle of the whiskers right would help increase it. 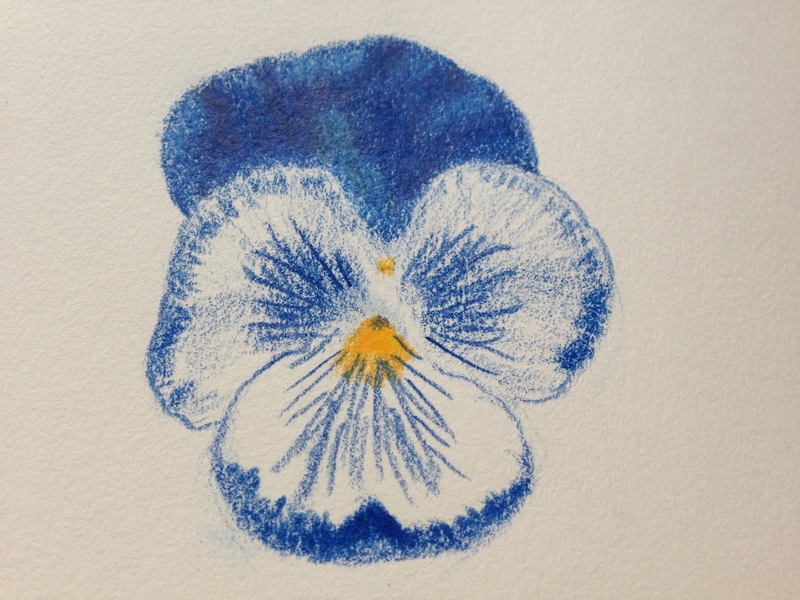 I could draw pansies all day, and be perfectly happy. It is a lot harder to write haiku than I thought. < O is for Oriole! Alisa, I agree totally. I started with Derwent WC pencils after falling in love with them watching The Frugal Crafter’s youtube videos. I do enjoy them, but it like the spontaneous flow of watercolor paint too. I think I wanna control the result too much. Thanks for the suggestion!